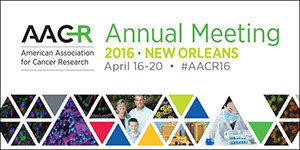 The AORTIC AACR 2016 meeting took place on April 16th, 2016 in New Orleans during the Annual AACR meeting. The meeting was entitled “Overcoming Cancer Research Challenges in Africa: New Realities, New Vision”. The program objectives were to discuss/propose strategies to overcome the infrastructure and human capacity challenges of conducting basic, translational, and health services research in Africa. The second objective was to provide a networking forum that will connect African investigators with cancer scientists in North America. The meeting was very well attended by AORTIC members including AORTIC leaders such as Dr. Christopher Williams, Dr. James F. Holland, Dr. Funmi Olopade and Dr. Sulma Mohammed, Dr. Frédéric Biemar AACR, NCI representatives, and African researchers.